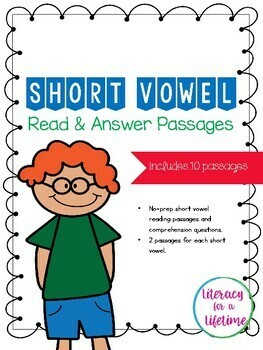 Check out these great short vowel passages! There are 2 original stories for each short vowel. 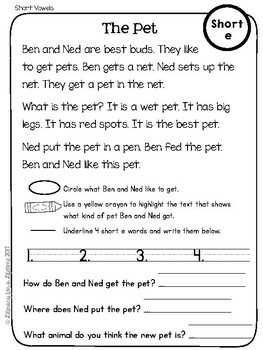 With each story there are comprehension questions that guide the students back to the text to support their answers. These stories are great for our beginning readers and text detectives. 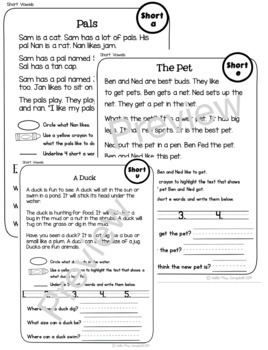 They can be used for homework, small group instruction, tutoring, centers, or whole group instruction!